At First Baptist Church, Madisonville we recognize that most of life and learning happens outside the church walls. Wouldn’t it be great if there was a discipleship tool that could keep pace with your life and fit into your busy schedule? Well there is. 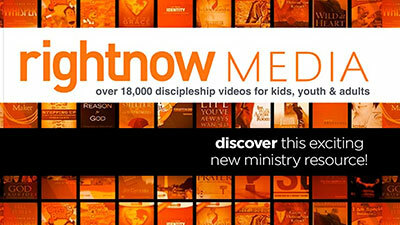 It’s called RightNow Media and we want to give it to you for free! Every member at FBC now has access to a huge digital library of faith-based videos for every age group that you can access whenever and wherever you want—on your phone, iPad, computer, or smart TV at home. It’s like a Christian Netflix and there are resources for everyone: kids, youth, parents, married couples, college students, single adults, working professionals—and its all aimed at helping you learn and grow. To receive this free gift and start using Rightnow Media for yourself just click the link below.